WWE kicks off a four-show Asia tour Thursday night in Tokyo, Japan. The Smackdown brand has a second show in Tokyo on Friday before traveling to China and Taiwan. Top matches scheduled for the tour are World Hvt. 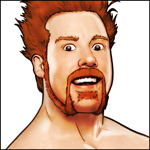 champion Sheamus vs. Big Show & John Laurinaitis in a handicap match and Randy Orton vs. Kane vs. Alberto Del Rio in a triple threat match. Also scheduled for the tour is Wade Barrett, who returned to in-ring action Tuesday night wrestling a pre-Smackdown dark match against Zack Ryder. Other notable stars include Daniel Bryan, Rey Mysterio, WWE tag champion Kofi Kingston, U.S. champion Santino, Cody Rhodes, and Yoshi Tatsu, who is returning to his home country after being outspoken about missing the previous WWE tour to Japan. Divas scheduled for the tour are Natalya and Kelly Kelly, who returned to WWE TV Monday night on Raw. Torch Int'l Reader Alert: We're looking for show results sent to pwtorch@gmail.com if you attend a show this weekend.